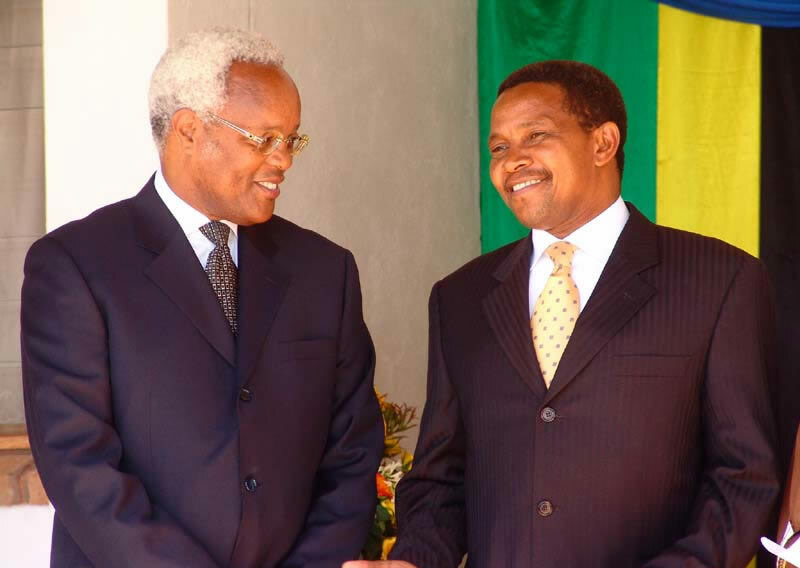 President Kikwete waited many years to attain the highest office in the land. But when he finally attained it, he wasted no time. In the first few days after his installation he attended both a Muslim celebration and the consecration of a protestant bishop while his newly appointed Prime Minister was opening a Catholic school. He told his new cabinet that they could remain in their positions for five years but only if they delivered. People seemed delighted by the energy and drive with which he launched his presidency. His election had been accompanied by much bad news – more than 16 armed robberies had been reported; there was widespread drought and food shortages which seriously affected electricity supplies in Dar es Salaam and other centres. Some opposition leaders criticised the performance of the new government saying it had failed to lived up to its slogan of “New zeal, new vigor and new pace”. Radical TLP leader Augustine Mrema asked “How about the big shots? The crackdown on economic crimes does not make sense if well known and corrupt officials are left untouched ….it was unfair to arrest 30 businessmen suspected to be involved in organised crime without taking action against the key players who had been assisting them” he said. Dr Sengondo Mvungi, who contested the presidency on the NCCR-Mageuzi ticket in the election, said that the new government had lost direction in the implementation of development programmes. “How can you wake up in the morning and start issuing directives, suspending officials and stopping businesses just like that. Certain procedures must be followed….At the Kunduchi Quarry some of the licensed mining firms and individuals had signed contracts with clients to supply stones. How do you stop the activities and revoke licences just like that? Before making such sensitive decisions which affect the lives of many people, the government had to find an alternative site for the miners and mining firms,” Dr Mvungi said. 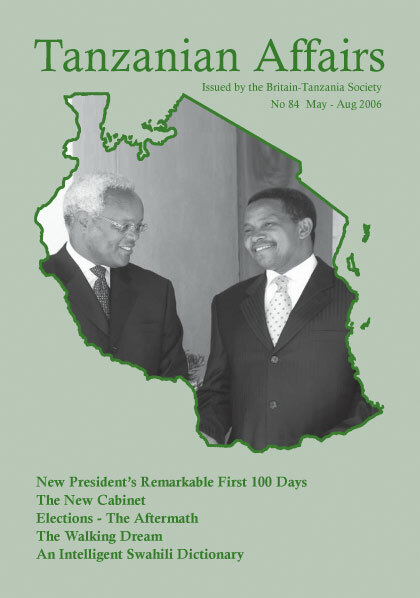 But CHADEMA National Chairman Freeman Mbowe lauded President Kikwete for the “positive and commendable” achievements recorded in the few days he had been in office. Mbowe said the new government had demonstrated its readiness to address major problems such as those dogging the Union; the political crisis in Zanzibar; controversy surrounding mining contracts; rampant corruption and gender imbalance in the government. Chairman of CHADEMA Freeman Mbowe denied that he was planning to rejoin CCM though he would continue attending state functions if invited. He was talking to Tanzanians living in Britain at a meeting held at the Holiday Inn in London. Mbowe was in the country to attend a Conservative Party conference in Manchester. “Politics to me is not a profession. I am a businessman and will remain one. I am in politics to serve my people. It is a call.” Explaining the reason why he accepted the election results last year he said that if there was rigging it was due to the opposition’s weakness and should be taken as a lesson for the next elections in 2010. On the likelihood of opposition parties fielding a single presidential candidate, Mbowe said that his party had formed an alliance with NCCR in 1995 and with CUF in 2000, but in both cases it was fruitless. TANZANIA’S cotton industry contributes about 21% of foreign exchange earnings and employs vast numbers of people. Now, a project initiated by the Tanzanian High Commission in London, has been started in Handeni for the cultivation of organic cotton. Organic cotton cultivation brings many advantages – there is increased productivity on farms and higher income for farmers from the sale of the certified cotton; as fertilisers and insecticides are not used there is no pollution of soil and water. The project has been given 100 acres and some 400 farmers registered in March 2005 in the ‘Handeni Organic Farmers’ Association’. 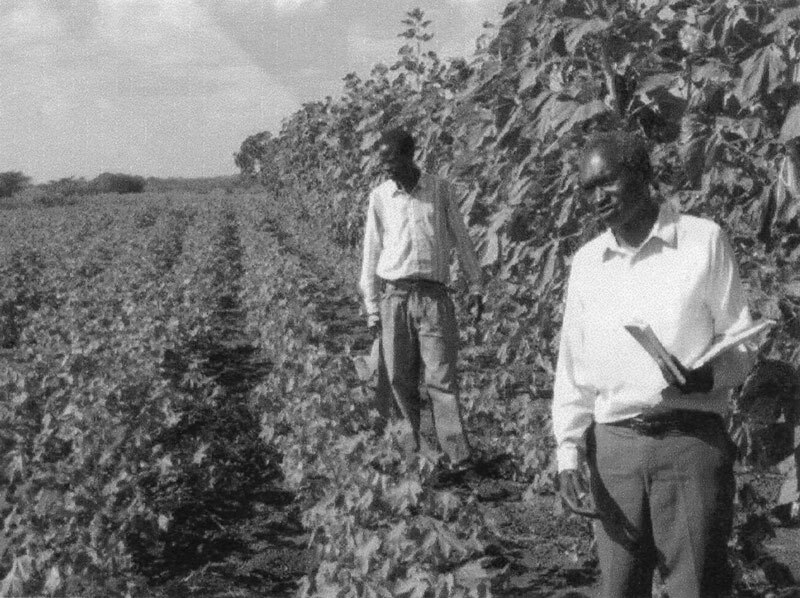 Each member signed a contract governing the correct production of the cotton. The project is also sponsoring training and provision of other forms of assistance to the local people. In 2003 organic textiles sales in Britain increased by 48% compared with the year before. Most of it is used in baby wear and women’s wear. Several CCM and CUF Members of the Zanzibar House of Representatives joined forces in January to call for an end to political confrontation on the Isles and for more concentration on development. The Zanzibar Electoral Commission (ZEC) said that complaints among the losers were common and that, during the election, they said that everything had been OK. But, on election day, when they realised that they had lost the election, everything went wrong. Salaam. Dr. Joseph Annan of the UNDP commended the role played by TACAIDS in the management of donor funds in poverty eradication. Mr Philip Parham (46) has been appointed as the new British High Commissioner to Tanzania in succession to Dr Andrew Pocock who has transferred to Harare. His career has included work with Morgan Grenfell and Barclays de Zoete Wedd and spells in Washington and Saudi Arabia. In 2003 he was appointed Head of the Iraq Operations Department and in 2004 Head of the Counter-Terrorism Policy Department in the Foreign and Commonwealth Office in London.